Cape Town - Bloemfontein Celtic coach Veselin Jelusic has been named the Coach of the Month while Polokwane City forward Rodney Ramagalela won the double at the Absa Premiership monthly recognition awards as he scooped both the Goal of the Month and Player of the Month for October. 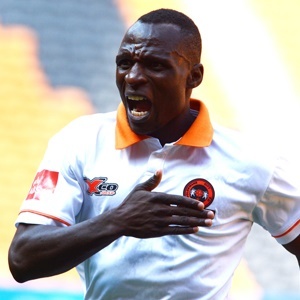 Ramagalela took to the stage twice on Thursday afternoon at the Premier Soccer League (PSL) offices to accept his two awards. His chipped goal during Polokwane City’s 2-1 away win over Mamelodi Sundowns was overwhelmingly voted as the best goal for the August/September period. Ramagalela also scooped the Player of the Month award following a judging process by a panel of experts and broadcasters. The judging panel were impressed by his work rate and appetite for always creating a scoring opportunity for his team while being able to neutralise opposition defenders. The former Mamelodi Sundowns striker scored three goals and provided two assists in City’s matches during this period and is the current top goal scorer in the Absa Premiership with six goals. Jelusic who is in his first coaching job in South Africa beat Baroka FC coach Kgoloko Thobejane, Luc Eymael of Free State Stars and Chippa United’s Tebogo Moloi, to win the award which was adjudicated by a panel of experts. During the block of fixtures played from September 23 to October 31 'Siwelele' picked up seven points in the club’s four games. Judges recognised Jelusic for having turned the fortunes of the team around after a difficult 2016/17 season. He was also praised in the manner he's transformed some of his players into exceptional talents as Celtic moved up the standings to a lofty 4th place.